Editor's Note: I am pleasantly surprised to discover this index page for "Scottish Covenanters" at ancestry.com. I hope you will find it helpful. 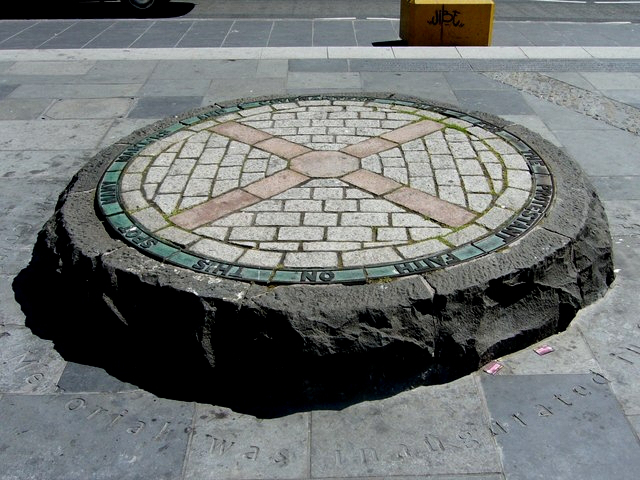 In the 17th century conflict arose between Church and State in Scotland. 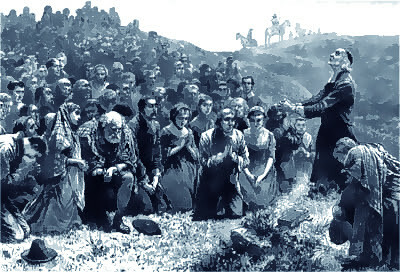 Those who remained steadfast in their Presbyterian beliefs and refused to take an oath to the king saying that he was the head of the church became known as Covenanters. They believed that Christ was the head of the church and were punished for this belief. Many were forced to pay the ultimate price for this by laying down their lives. The Royalists and Dragoons, who were seeking their lives, chased the Covenanters from glen to glen, especially in the Lowlands. If anyone was found hiding them, they suffered imprisonment and/or death as well. This punishment was not just reserved for the strong and healthy -- children and the elderly were subjected to the cruelty as well. This database is an index, compiled by Isabelle Drown, to the Covenanters whose names are found in books recording their history between 1660 and 1690. The index provides the Covenanter's name, a birth or christening date, a birth or christening place, and a reference to the passage in which information on the individual is found. This reference includes book, volume, and page numbers. The book number indicates which book in the bibliography (listed below) the information was taken from. Two of the largest repositories of Covenanter books are Vancouver School of Theology in Vancouver, British Columbia, and University of Guelph in Guelph, Ontario. These are not the only repositories in which Covenanter books may be found though. Please check with your local libraries and use interlibrary loan if they are not locally available to you. A glossary of Celtic place names and explanations of certain words and phrases used in the index are available from Isabelle. Questions and comments about this index may be e-mailed to Isabelle at the following address: CovenanterIndex@email.toast.net . Some family names I found indexed are Wright (78), Summer, Summers (5), and Lawson (23).